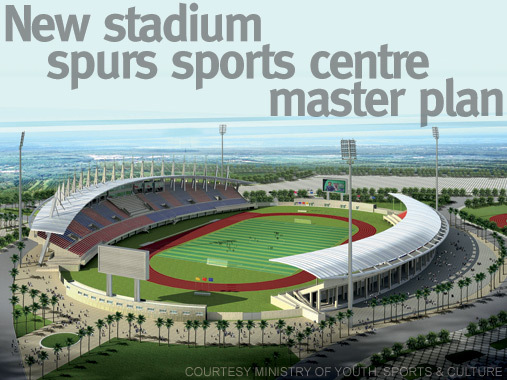 As the new $30-million Thomas A Robinson National Stadium in the heart of New Providence enters the final stage of construction, the Ministry of Youth, Sports and Culture has signed-off on a master plan to develop the surrounding 450-acre plot, which it also owns. “If we want to have a world-class sports and entertainment facility that can play host to international events, then we have to have the infrastructure to support it,” says Nick Dean, principal at Integrated Building Services, which was commissioned by the Sports Ministry to draw up civil and construction designs for the strategic redevelopment of the site. Stakeholders include the Royal Bahamas Police Force, various sports federations, the Bahamas Olympic and Special Olympic committees, as well as numerous sports and activities groups, and charity and community foundations. At the design stage, the decision was taken to create a sports centre that would accommodate all of the interested groups. The master plan anticipates 15,000 capacity parking, a recreational park, velodrome cycling track, athlete’s village, American football field, baseball and softball stadiums, as well as a commercial district and a hot rod drag racing strip, among other facilities. “The sports centre design presents The Bahamas with the opportunity to be regional leader in sports tourism, which is in-line with initiatives by the Ministry of Tourism [and Aviation],” adds Dean. Although the plans have been reviewed and approved by the Sports Ministry, as yet the construction phase has not been put out to tender. Speaking at the Bahamas Society of Engineers, Bahamas Electricity Corp (BEC) general manager Kevin Basden says he sees potential in renewable energy, and urges entrepreneurs, skilled professionals to grasp opportunities. With the New Year dawning, the Bahamas Financial Services Board is looking to put before government initiatives to maintain the jurisdiction's competitive edge.